« Can one prove a negative? A prominent legislative and literary strategy found in Plato’s Laws, designed to give the new government an aura of divinity and respectable antiquity, was to link the new system of laws, wherever possible, to existing ancient and revered local religious institutions. This strategy appears to have been systematically implemented in the Pentateuch. Although the Torah legislation projected a vision of monotheism, or at least monolatry, the new supreme god of the Pentateuch, portrayed as the one and only god of the ancient Jews and Samaritans, combined a veritable pantheon of ancient Canaanite deities into a single universal god, the creator of the universe. The Pentateuch’s newfound monotheism thus sought to incorporate and assimilate the ancient traditional polytheism of the region. Plato had recommended that the organizers of the state research and recognize the sacred status of local religious sites such as ancient temples, altars and oracles. In seeming conformity with this Platonic strategy, stories in Genesis featured a multiplicity of sacred locations – including several sites revered by the Samaritans – where, the patriarchs saw visions; built altars to Yahweh, El Shaddai, El Elyon and others; performed sacrifices; and called on the deity’s name. Similarly, the books of Deuteronomy and Joshua gave special recognition to the sacred status of various prominent Samaritan locales, namely Gerizim, Ebal and Shechem (Deut. 11.27-29; 27.4, 11-13; Josh. 8.30-35; 24.1-28). . . . . The Bible is a motley book. It consists of legislation, myths, poems and songs, prayers, drama, chronicles, and many authors. Reminders of God and his laws come in all forms and for all occasions. Plato imagined an educated elite purging existing literature and composing new works for a similar end. In Plato’s Laws, the major vehicle for citizen education was immersion in a stream of festivals and public religious events to overwhelm the senses and emotions with music, songs, rhythmic chants, dance, poetry, recitation of myths, theater, panegyric speeches, pageantry and spectacle, wine, banquetry, celebrations, sacrifices, prayers and the contemplation of the divine. The elevated emotional atmosphere and the conscious cultivation of both sensual and intellectual pleasures encouraged receptivity to the ethical, legal, theological, cultural and historical educational content of these festivals as communicated through songs, myths and discourse. So, likewise, the system of universal education found in the Hebrew Bible prominently featured mandatory attendance at festivals. Not that it was all happiness and sunshine since (as we have seen in previous posts) Plato, like the Bible, also required the execution the stubbornly wilful who violated the “divine laws”. Those guilty serious offences against “the gods, parents or state” were to be executed. 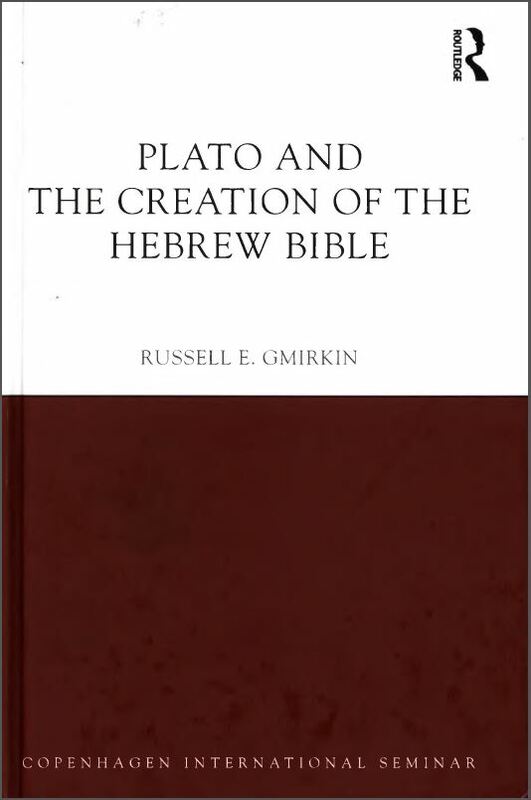 Gmirkin argues that a Judean scribal elite took up the task of fulfilling Plato’s ideal from around the year 270 BCE in the Great Library of Alexandria, Egypt. It follows that the books comprising the Jewish Scriptures were composed within a relatively short span of time and not, as has long been believed, over centuries. Although Plato’s Laws promised eternal fame to any legislator who followed his bold legislative plans (12.969a-b), Plato also said it was essential that the legislators contrive to portray the laws as having been observed for untold centuries (7.798a-b), a goal that would seemingly require the legislators to obscure their role to future generations. The incompatible objectives of legislative fame and anonymity was historically achieved for the Seventy of ca. 270 BCE, who were credited with the Septuagint and honored at Alexandria by subsequent generations as inspired prophets and legislators on a par with the seventy elders at Mount Sinai (Philo, Life of Moses 2.41-42), but in the role of translators, not authors. Plato imagined his ideal colony settling in a brand new (unoccupied) land, beginning with the young who had been separated from their parents, in order to work. Falling short of such an “ideal”, the Jews have nonetheless been known as the “people of the book”. Their identity, their history, their religion, their ethics and laws, are all defined by “the book”, a book which has long been known to contain echoes of Plato . Jewish, Christian and “pagan” authors alike more-or-less independently rediscovered the extensive and striking commonalities between Plato and the Hebrew Bible. It is remarkable how often scholars in the Hellenistic and Roman eras were compelled to comment on the striking parallels between the Hebrew Bible and Greek literature, especially Plato’s dialogues. Comparisons between Platonic philosophy and biblical teachings were made by Jewish intellectuals such as Aristobulus (fl. ca. 150 BCE), Philo of Alexandria (20 BCE -50 CE), and Flavius Josephus (37-ca. 100 CE); Church Fathers such as Justin Martyr (ca. 150 CE), Clement of Alexandria (ca. 150-215 CE), Eusebius of Caesarea (263-339 CE),154 and Augustine (354-130 CE); and even Gentile writers such as the Neo-Pythagorean philosopher Numenius of Apamea (second century CE).156 Virtually every scholar in antiquity who was proficient in both Platonic and Mosaic writings agreed that there was a direct relationship between the two. In the previous posts I hope I have drawn attention to some of the strengths of Gmirkin’s arguments that the influence has, in fact, been the reverse direction of what the biblical myth itself would have us believe. It seems certain that by the early second century BCE the Jewish nation had come to accept the biblical writings as an ancient literature authored by their ancestors. The attachment of the Jews as a religion and as a people to their literature was and is extraordinary. No other nation in antiquity was so thoroughly defined by its literature. In later times, the Jews would come to be known as “the people of the book,” an apt description, because to an extraordinary degree the Jews derived their distinctive culture, religion, ethics, laws, historical traditions and sense of ethnic identity from their treasured national literature. Despite the number of posts I have produced on this one book I have only covered a small fraction of the detail Gmirkin amasses to support his larger thesis. Each one of the many briefly mentioned points he lists, accompanied with endnote citations, could be expanded with little effort into full-length articles or chapters. Some of my spin-off posts, such as the my various posts on the foundation stories, have been extensions of Gmirkin’s own illustrations. Gmirkin, Russell E. 2016. Plato and the Creation of the Hebrew Bible. New York: Routledge. Morrow, Glenn R. 1953. “Plato’s Conception of Persuasion.” The Philosophical Review 62 (2): 234–50. Posted on 2018-11-18 11:54:19 GMT+0000 by Neil Godfrey. This entry was posted in Uncategorized and tagged Gmirkin: Plato and Creation of Hebrew Bible. Bookmark the permalink.